As a disinfectant: Dilute with cold water as required. Apply to surface and leave for 10 minutes. Discard diluted solution after use. For light maintenance: dilute with cold water as required. 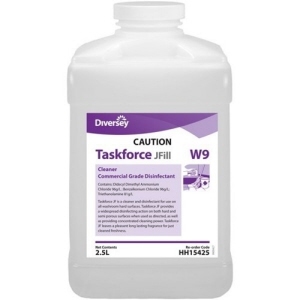 Spray and Wipe: Apply to surface to be cleaned. Let dry – no rinsing is necessary. 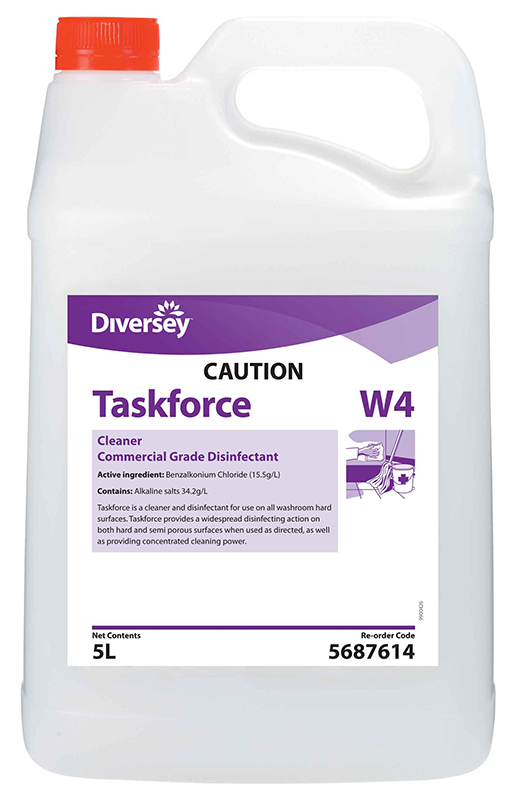 Taskforce Mop and Bucket: Mop over floor and rinse to remove solution residue. 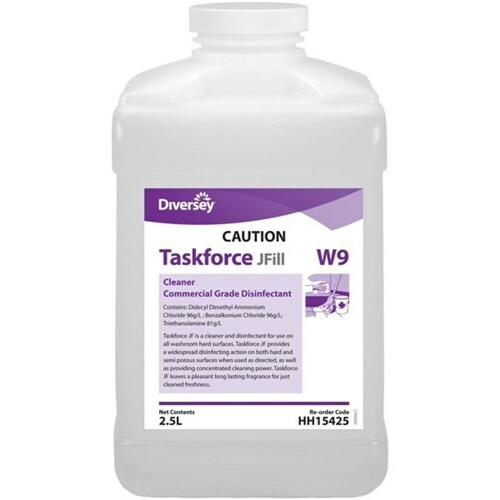 dilution will adequately clean the surface without leaving behind finish damaging residue.